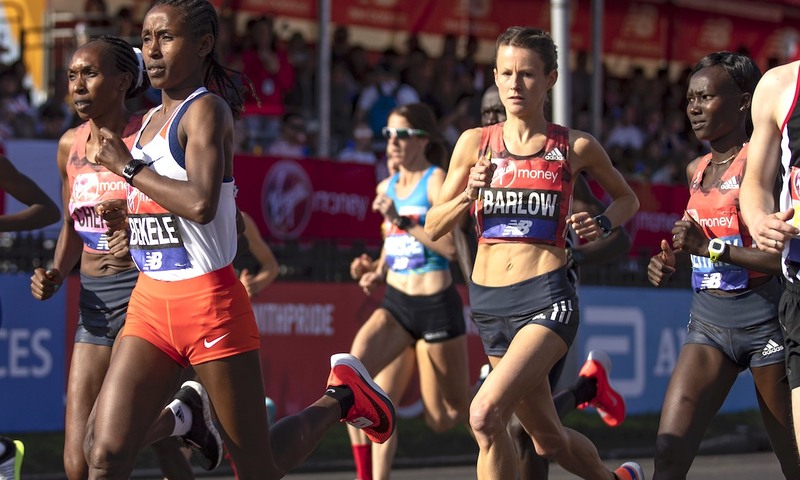 The British marathoner chats about her journey onto the international stage and shares insights into how she trains. 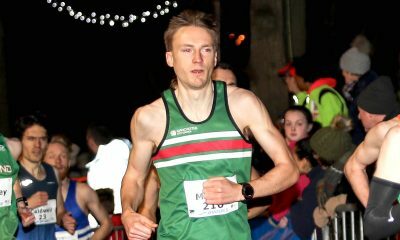 Tracy Barlow is one of the UK’s most consistent performers when it comes to major marathons, but the Thames Valley Harrier was a late starter to the elite running game. The 33 year-old ran her first marathon seven years ago, clocking 3:52:59 in London. 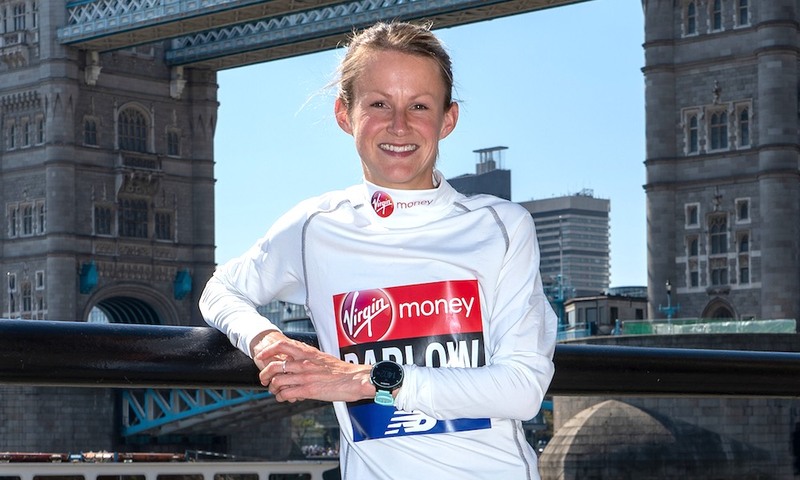 She has since knocked more than 82 minutes off that debut time, returning to the London Marathon to run her 2:30:42 PB last April. 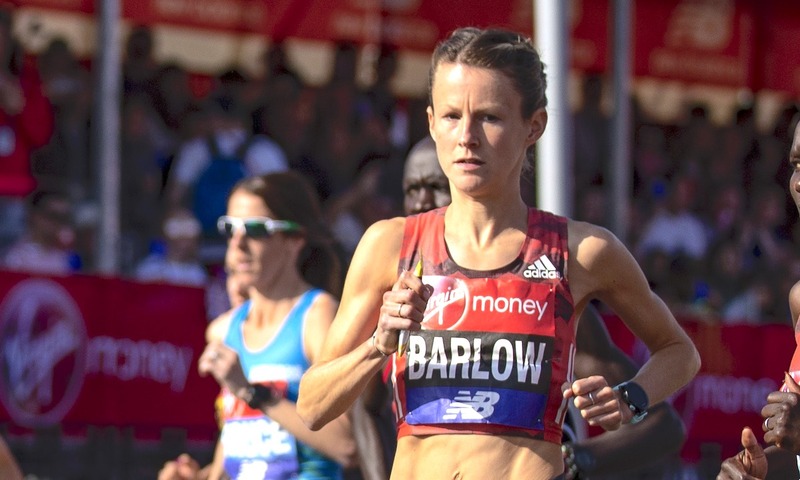 Barlow’s rise to the top of British distance running is a remarkable one. In that interim period, she has represented Great Britain three times and will pulled on the England vest twice. 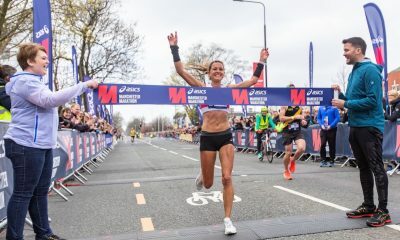 Fast Running caught up with the Nick Anderson-coached athlete to find out more about her training, how she fuels her sessions and what she has learnt along the way so far on her incredible journey. Fast Running: You are a relative latecomer to elite running and full-time athletics – do you think that has helped you thrive and give you perspective in training and competition? Tracy Barlow: I do feel that I am benefitting from not having years of 100-mile weeks already in my legs. I have been very fortunate not to get injured much, maybe due to knowing when things may be too much or I am on the edge so need to pull back. But I do feel with age comes a level of understanding of what your body can and cannot tolerate in terms of training load. I also feel having had a career before I came into running helps me put a perspective on things. Yes, I will be down about a bad session or a bad run but I also know it’s not the be all and end all of things, so I won’t go and beat myself up and push even harder to make up for it. I am in a very privileged position to be able to do what I do and for that, I will always be grateful. I am very much still learning what my body is capable of. With each marathon and marathon build-up, I learn something new about myself. The fact that I have been consistent with each one and have progressed forwards indicates to me that there is still more there to achieve. My lack of track background does mean that my V02 is possibly lower than others at my level, but it is something I intend to focus on in the coming months and improve it. FR: You were a nurse until you became a full-time athlete last March – how has that benefitted your training, and are there any issues with this set up? TB: I found when I gave up working as a nurse I had so much more time to focus on training, resting and recovering. However, I’ve recently started doing a few hours of admin and front of housework for a gym on reception, working five hours on Mondays and Friday. It allows me to have another focus outside of running but fits in well around my training. I find this helps me get the balance right for a healthy training mind. During marathon training, it can be very intense and I don’t have much energy for other things, especially after a really hard session. I spend the rest of the day on the sofa until the next run on those type of days. However, on the lighter training days I can get bored easily, so not having work to go to during the day does mean they can drag a bit. I try to fill my day with other things such as meeting up with friends, meal prepping or getting household chores done. I have never been one to sit around all day, however, so I try to do something each day that gets me out of the house (apart from the running). I just have to be careful not to tire myself out doing this though. I do miss work and miss my old colleagues, but I know I couldn’t run at the level I do alongside it. And at the moment my running is my key focus. FR: What is your current training set up, who do you run with? TB: I train on my own mostly. All my easy, steady runs are solo as are most of the Thursday threshold runs. There aren’t many people around who are doing the same kind of training runs so it’s difficult to get company for them. A lot of my running friends work too, so it makes trying to meet up for a session difficult. On Tuesdays when I have track I will go to Winchester on occasion and train with the group my coach takes. Recently I have been at Battersea on Tuesdays with my training partners as they are based back up in London now. It’s great to have the social side to training when we get together. We help each other get through the tough sessions and push each other to work hard with each rep.
FR: How do you keep yourself motivated when training solo? TB: I stay motivated by remembering why I do it. I envision myself in future key races coming to near the end and chasing down the person in front, my family and friends cheering from the sidelines. I love having them there at races. I also look forward to what my future goals are and know that I won’t achieve them if I don’t put the hard work in now. My training partners and friends are key to keeping me going too. Even when I’m not training with them, they check in with how I am and provide a listening ear when things get tough and the tiredness sets in. All of these aspects are key to keeping me focused and getting the most out of myself. FR: Have there been races when things haven’t gone to plan, and if so, how did you deal with that? TB: My preparation for the World Championships last year wasn’t ideal. I went out to Font Romeu for six weeks in total, as I wanted to try altitude training and felt with the British team being based there this would be my best opportunity. Unfortunately, I didn’t adapt well but didn’t realise it at the time. I wasn’t able to hit pace or get anywhere near it for that matter. Also, being away from my normal environment and friends didn’t help. There wasn’t anything to take my mind off training. So when I returned to sea level and was preparing for the marathon I was already tired and over it. I went into the race not feeling it and knew within the first mile that it wasn’t working. Having another 25 miles of that feeling was not pleasant. With each major race build-up I have learnt, and continue to learn what works best for me. FR: How do you ensure you’re properly fuelled up for sessions and races? TB: I love anything ‘carby’, so bread, pasta or pizza are my go-to meals. I make my own pizza bases so it makes it healthier and not full of additives. My go-to breakfast, and the one I have pretty much every day, is bircher muesli. The recipe came from the ‘Performance Chef’ (Alan Murchison, a Michelin starred chef and top cyclist and duathlete). It is made with oats, greek yoghurt, milk and half a mashed banana. To this, I add different dried fruits and berries each day. My race day breakfast would be the same, but with some raisins soaked in overnight to add extra energy and carbs. I will always make sure I have a recovery drink ready post-hard sessions or long runs. A strawberry milkshake type drink is my favourite. I tend to lose my appetite after anything hard or long runs, so this helps me make sure I get the nutrition into my muscles when they need it most. I will often have yoghurt and granola as a pre-training snack and sometimes post-training. I will try to make my own so I can add different types of dried fruit into it and make sure it’s not full of sugar. I will only take energy gels for really long session runs and the marathon, as I’m not particularly keen on them. I have started using Maurten (energy powder) in my drinks which is great. It doesn’t upset my stomach and can give me the carbs I need for the longer runs. However, I have trouble taking on much in the way of fluids during the marathon or during the really hard long runs. I’m looking to try the new Maurten gels in the next marathon build up. FR: Do you receive any help and support from companies for your nutrition and kit needs? TB: Maurten supplies me with their energy drink and High5 supply me with my recovery drink and gels. Adidas provide me with some kit and trainers, so that helps keep the costs down. I need to change my trainers every three months with the high mileage I do, so being able to do so without worrying about the costs is a huge help. I can tell when my trainers need changing as they start to feel flat and this makes my legs feel heavier. As soon as I get the new pair it’s like having a spring back in my step. FR: What is your favourite training session for the marathon? TB: I tend to prefer sessions with longer reps, as this is working the area that I am good at. So 1200m or mile reps are what I prefer. I can also tell with these if I am in good shape as I remember the times I did them in for my previous build-ups. When I’m running faster for the reps it gives me the confidence boost going into the marathon. Although I don’t look forward to long runs with marathon pace in them, when they go well it gives me such a boost and can change the way I look at my training. FR: Can you give us a little insight into how you train, and an example of a typical marathon training week? TB: When running at pace in training I tend to go on effort more so that any other indicator. My watch will give me an idea of what pace I am doing but I don’t look at my heart rate during sessions. However, I did go off heart rate over the summer when training in the heat and humidity of Spain and Germany prepping for the European Championships in Berlin. Trying to gauge pace and effort levels went out of the window in 35-37 degree heat! When running back in the UK and doing threshold efforts in a long run I will aim for a certain pace but also run to feel as this is the best indicator that I am working as hard as I can. 90-1hr45 steady long run. During marathon training, this will be over 2hours and have chunks of marathon pace in it. FR: Finally, what is your next major focus? TB: My focus is definitely Tokyo. From now on all my training and racing is gearing me up towards being able to qualify for the Olympics. 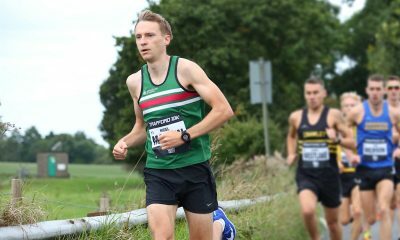 Having competed at the Worlds and the Euros soon off the back of the London marathon, next year I would like to be able to have a bit more time between marathons and be able to spend longer training for the autumn race. Therefore, I don’t think I will race at the next World Champs, but never say never!